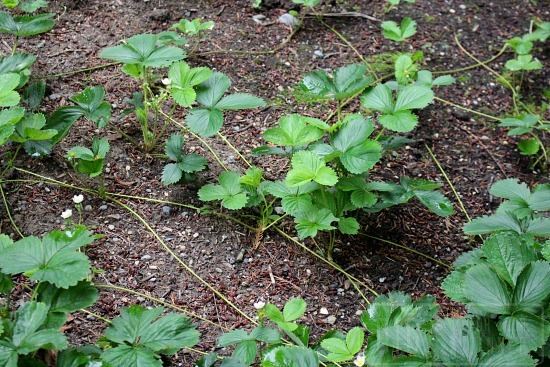 Do you have strawberries growing in your garden? Are they sending off runners like mad? Well mine are and I couldn’t be happier. I love, love, love this time of year in the strawberry patch. There is so much hope of things to come. With a little luck we should have the entire side garden full of strawberry plants next summer thanks to all the runners our strawberry plants are sending out right now. 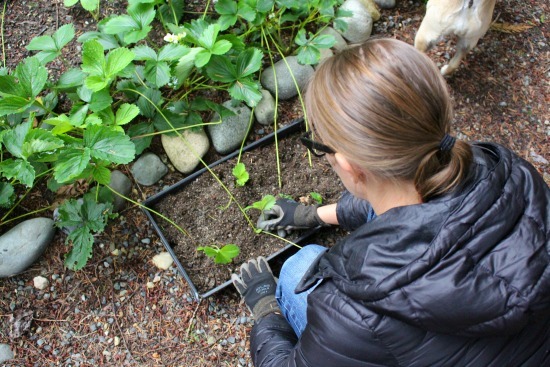 I don’t know about you, but I adore strawberries… and a bunch of free plants? Heck Ya! I’ll take ’em. 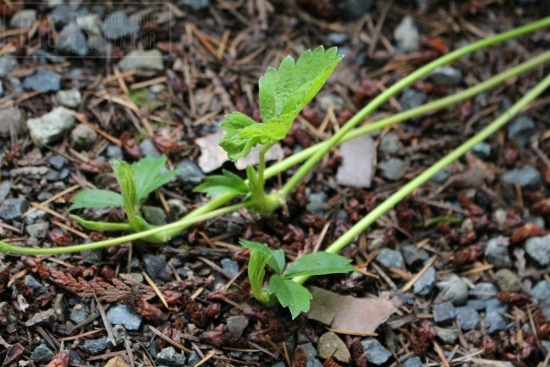 How do you keep up with the weeds in the strawberry patch? I can’t keep mine under control. Oddly enough, we don’t get too many weeds over on that side of the house. It’s really weird. At our last place we used landscape fabric. My strawberries beds are a MASS of plants. What’s your suggestion–dig them all out and replant the new runners or… End of last summer I mowed them down and took our plants so I had two rows about a foot wide. Now they are just solid plants everywhere. 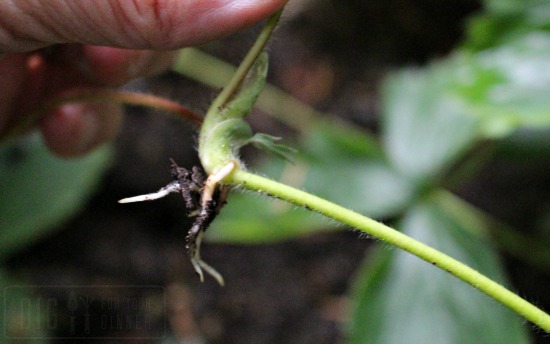 More plant than fruit earlier this summer…Any help is much appreciated! I just grew strawberries for the first time this year and I see they have runners out of my raised beds. What is the best way to transplant these so more will grow next year? I also see some new leaves just popping up in a few areas around the box too. Just leave those there? I want to have as many starwberries as I can next year! Thanks!